When you think of the word ‘mum’, you may think of the familiar phrase, ‘Mums the word’, which means keep silent or quiet. 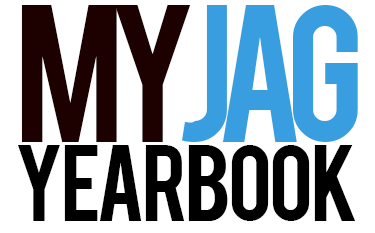 However, if you go to a Texan high school, you might think the exact opposite: irritating and incessant bells in the middle of class or squeezing between a girl with two on her backpack and another girl with three in the hallways; maybe even purchasing one of your own! That’s right: homecoming is back, and it’s the return of the mums. Now I’m not insulting the tradition or anything: it’s nice. 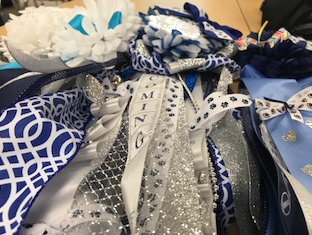 Seeing the bright ribbons and some of the cute stuffed animals can really get you into the school spirit that is homecoming. Knowing that someone’s mother spent seconds and minutes and hours into the creation of one of Texas’ most annoying traditions can make you say, ‘You know what? I’m going to homecoming.’ And yeah, mums are pretty and everything; we know that. What’s the point of the obnoxious bells? What’s the point large floral pin to human body ratio? What’s the point in wearing these flashy and elaborate brightly-colored feathered corsages that do nothing but scrape the floors and skin of innocent students in the hallway? I mean are they really all that necessary? There has to be a substitute for these agitating homecoming decorations. Why suffocate a flower in stuffed animals and tea ribbons; glitter and bobbins; trinkets and lights, when you could just wear a t-shirt? It seems pretty simple. Now I’m not hating on Texans or traditions or even homecoming, I’m not! I’m just asking why we make such extravagant and expensive ornaments for the sake of a football game and a dance. I’m simply questioning the drowning of flowers in knickknacks for an event that is only seasonal and lasts a weekend. I’m only wondering if there is anything we, as a society, could contribute instead of these tiresome baubles. So Jaguars, as you walk through these narrow and eternally crowded halls, dodging the blue ribbon and silly bells; as you walk through the halls with index fingers in your ears and eyes shut tight to block out the noise; just keep in mind that the day will end soon. And so will that migraine.